Osama bin Laden sealed his fate after masterminding the actions that lead to the horrible attacks on Sept. 11, 2001. Now we see what amounts to corporate and personal capitalization of the actions that lead to his demise, which will undoubtedly lead to further antagonization of American forces overseas and a hindrance of further covert operations against leaders of terrorist organizations. The fascination with our military special forces, and war in general, is apparent in the media and in movies produced out of Hollywood. Nothing is more broadly intriguing than war, and the film industry has used the dramatics of war to its advantage in an effort to attract high box office numbers. 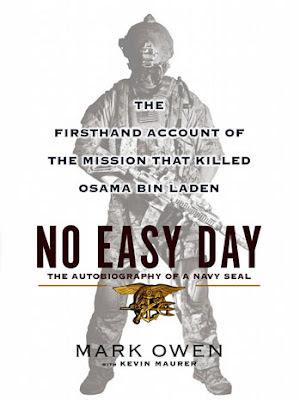 “No Easy Day” is a novel written by former Navy SEAL Matt Bissonnette under the pseudonym Mark Owen. He was part of the special forces team that participated in the attack that killed Osama bin Laden in Abbottabad, Pakistan on May 2, 2011. Bissonnett said that he was second in line following the point man that initially shot Bin Laden. He later himself shot Bin Laden several times after receiving massive trauma from a gunshot wound to the head. Step-by-step accounts of the tactics used during the raid and the methods of gathering intelligence leading to this final confrontation are indeed intriguing; so much so that the book has ascended to the top of sales charts in recent days as the interest in the story has spread throughout the world. “The question that has to be asked is did this soldier put other SEALs and Armed Forces in the area at risk by revealing tactics and intel gathering techniques used in this mission,” said a former Army member who wished to remain anonymous for this story. The use of couriers to track targets, profiling of locations, organization of missions and finally executing actions are all current tactics used by the military. Submitting the book to the United States Department of Defense for analysis and clearance would have undoubtedly prolonged its release and allowed for an unknown amount of time to pass, therefore lowering public interest and overall sales. The fact that it differs from the government's report and goes against their will also commanded attention, which helped initial publicity prior to its release on Sept. 4. Despite the urge of Bissonnette, “No Easy Day” was written in honor of the work of servicemen and servicewomen and aims to set the record straight. The book still produces what the Pentagon considers a leak of classified information that can hinder future military actions by special forces. “The SEALS are technically considered what's known as direct action, meaning their target was an individual and they went in and got him, how they got him is immaterial,” said a retired Special Forces soldier who wishes to remain anonymous. Another former SEAL, Brandon Webb, has publicly reported that sources informed him that Bissonette wrote the book as a result of the poor treatment he received from the U.S. Navy following the raid and before he retired from military service. If this is true, it amounts to a vendetta against the U.S. government, which may partly explain the reasons for officials taking legal action against Bissonnette.